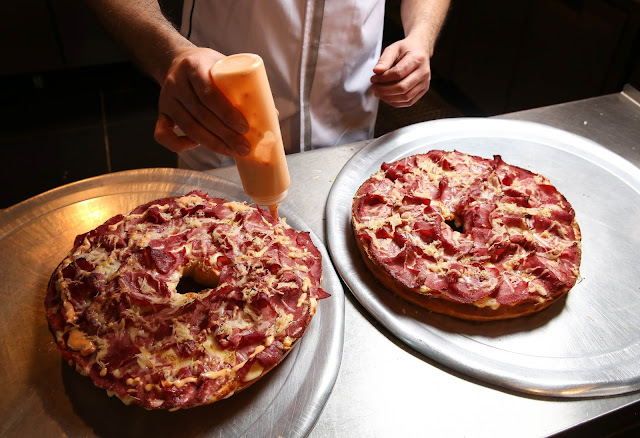 Home / FOODANDDRINK / Anyone for a Bagelizza? The 9th of February is National Bagel Day AND National Pizza Day. For foodies that want to celebrate both culinary days, there is the dilemma of choosing which dough-based treat to indulge in. Well, that seems like it will no longer be an issue. 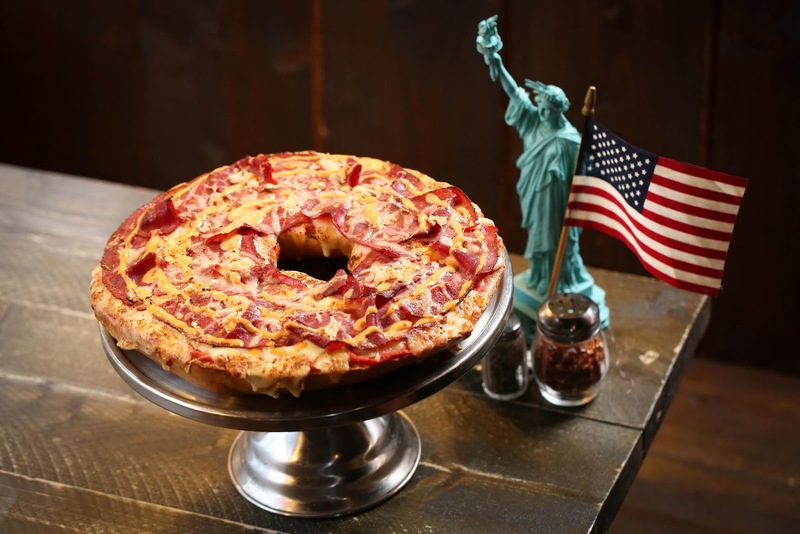 New York Bagel Co. has unveiled a 'Bagelizza', the first ever bagel and pizza mash-up inspired by the true taste of New York. Boiled and baked the New York way, the 12-inch bake is made by hand by the expert bakers at New York Bakery Co. Each bagel weighs in at an impressive 1.5kg, which is more than 16 times heavier than the average bagel. 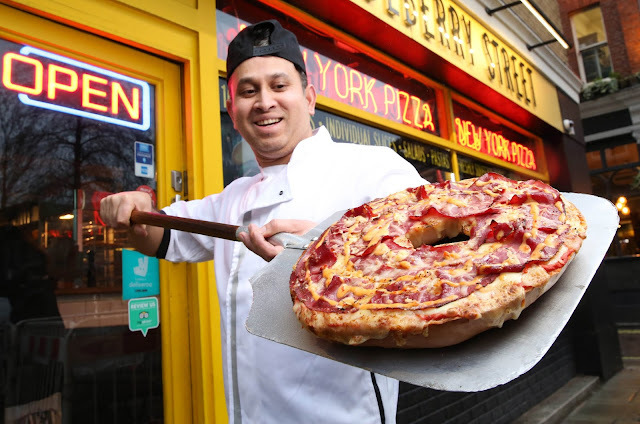 The Bagelizza also comes with special toppings, made in partnership with Munlberry Street Pizza, a London-based New York Pizzeria. With lashings of 21-day-aged grass-fed brisket, the cured pastrami sits on top of a bed of sauerkraut, shavings of swiss cheese and finished off with a drizzle of Russian dressing – all sitting on top of the restaurant’s signature marinara sauce and 300g of mozzarella. The Bagelizza can be enjoyed as a solitary meal or shared between friends and family. It can actually serve up to EIGHT people.